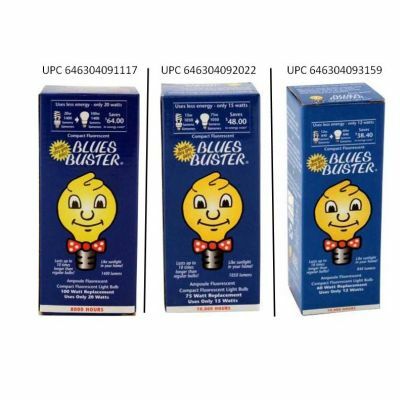 On March 23, 2011 the "Blues Buster" Light Bulbs have been recalled. These affected light bulbs are not certified to Canadian standards and have not been evaluated for safety hazards. They may pose a fire hazard to consumers. At time of the recall neither Health Canada nor Natural Food Coop has received any reports of incidents or injuries related to the use of these light bulbs. You should immediately remove the recalled light bulbs from any light fixtures and return them to place of purchase for a refund. Remove light bulbs by handling only the base to prevent any unnecessary pressure on the glass that may cause it to break. Alternatively, consumers may dispose of the recalled light bulbs. Because CFL bulbs contain small amounts of mercury, consumers are advised to check with their municipality to see if these light bulbs can be recycled. Approximately 22,300 units of the affected light bulbs were sold at various retailer locations in Ontario, Quebec, Manitoba, and the Maritimes. The recalled incandescent light bulbs were sold from September 2006 to February 2011, while the recalled compact fluorescent light bulbs were sold from March 2008 to February 2011. These light bulbs were manufactured in China. The importer is Ontario Natural Food Coop of Mississauga, Ontario.